One of the developments in Christian thought we see in the fifth and sixth centuries is the concept of ‘Church Father’. This development is one reason why D H Williams draws his ‘suspicious Protestants’ to the patristic period as it existed specifically before AD 500 — these are the writers who are considered by later writers (the later Fathers themselves!) as Fathers of the Church. The Council of Chalcedon provides us with one of our early examples of this growing concept when it drafts its Definitio Fidei, which it introduces with the words, ‘Following the holy fathers,’ ie. of Nicaea, Constantinople I, and Ephesus I. These men themselves shall be calledSancti Patres in due course. Other evidence for this growing perception of Fathers of the Church in the fifth century is found in the appearance of testimonia in writings in the disputes of the day. Testimonia are passages from previous writers one gathers together in a series (either a catena — lit. a chain — or a florilegium — lit. a gathering of flowers) appended to the end of a work or sometimes as the whole work itself. They are gathered together to add weight to one’s own position. An example of this is Theodoret of Cyrrhus, who appended testimonia to one of his letters. Another early example is Leo the Great who appended Testimonia to his so-called ‘Second’ Tome, Ep. 165, to Emperor Leo I, seeking to demonstrate the validity of his two-nature christology. Leo includes passages from Hilary of Poitiers, Athanasius, Ambrose, Augustine, John Chrysostom, Theophilus of Alexandria (via Jerome), Cyril of Alexandria, and Gregory of Nazianzus in his patristic testimonia. The inclusion of these testimonia is, no doubt, part of Leo’s own growing awareness that his own authority and argumentation were not ending the crisis he’d hoped to resolve at Chalcedon. He turned to his forebears in the faith, to authoritative authors to bolster his position. Testimonia patrum as either florilegia appended to ‘original’ works or as catenae that comprised the entirety of a work really got rolling in the sixth century. 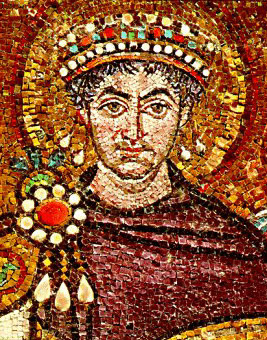 An example of theology that was entirely rooted in patristic catenae is found in Leontius of Byzantium, who wrote his own discourses on Christology principally through the lens of previous writers. The process really got moving, however, as biblical commentaries. Both East and West in the sixth century began an original endeavour of creative editing that produced an endless variety of comments and combinations on the text of Holy Scripture. Each editor, using either earlier catenae or his own extensive reading, would produce a commentary on the Bible full of short snapshots from the Fathers on the passage at hand (kind of like IVP’s Ancient Christian Commentary on Scripture). These were not merely editorial technique, however. One can quote only what one chooses. One can purposefully misquote. One can accidentally misquote. One can splice two quotations together. Furthermore, the successors of one such anthologiser can simply add more quotations without doing damage to the text (it happens thus with Leo, Ep. 165 that some manuscripts have more passages than others). As the same Fathers are resorted to time and again in these anthologies, the thought of the Byzantine and medieval worlds is not always as divided as some would have you believe. As well, these people keep turning up again and again. They hold pride of place as the medieval and Byzantine Christians seek to interpret their Bibles in a faithful way that is true to their tradition and heritage. In the East, this reading and rereading of the same Fathers means that by the age of Justinian, it not earlier, the Mono/Miaphysites and the Greek/Syriac Chalcedonians have almost the same way of thinking, just different words. They have read and reread Athanasius, Cyril, the Cappadocians, et al., time and time again as they seek to uncover the truth about the nature(s) of Jesus, and both sides have constructed catenae of testimonia from the Fathers to prove the other side wrong. 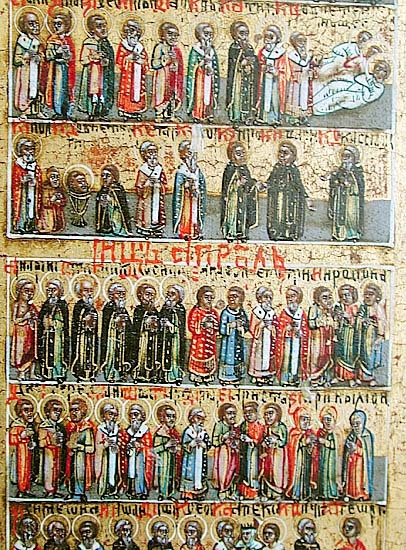 I believe that the patristic catena is one of the main reasons that East and West; Latin, Greek, Syriac, Coptic, and Armenian; Chalcedonian, Anti-Chalcedonian, and ‘Nestorian’; monks and bishops, all have a fairly similar grouping of Ante-Nicene, Nicene, and pre-Chalcedonian Fathers. For 1000 years they were reading quotations from these same people, all strung together, as they sought to interpret Scripture and theology. These people are the common patrimony of all Christians, everywhere. They are the Fathers.